Nurse Victorino Chua, who was jailed at Manchester Crown Court for murdering and poisoning patients at Stepping Hill Hospital, today said in a statement issued by his solicitor: "I am completely innocent of any wrong doing. I now face a minimum of 35 years in custody for crimes I did not commit." South Manchester's lead coroner is to open inquests into 10 further deaths of inpatients from the time killer nurse Victorino Chua was working at Stepping Hill Hospital in Stockport. John Pollard will also consider resuming inquests into the deaths of three others - Alfred Weaver, Tracey Ardern and Arnold Lancaster - which had formed part of the criminal indictment against Chua. There is no immediate evidence to suggest that these deaths were caused by insulin poisoning, but in most cases there is reason to believe that whilst the deceased persons were in hospital they each suffered hypoglycaemic episode/s. Eleven more deaths at Stepping Hill Hospital are to be investigated following the conviction of killer nurse Victorino Chua. South Manchester coroner John Pollard is set to publicly examine the deaths of 11 people - none of whom have been named. In a statement, Stockport NHS Trust said the coroner had been unable to undertake inquests into these deaths at the time of the police investigation and trial. "The 11 deaths that the coroner is now investigating are therefore relating to patients who were inpatients at the hospital over this period." Victorino Chua, the nurse who was jailed for 35 years for murdering two patients and poisoning another 19, has continued to maintain his innocence, despite being convicted. In a statement released through his solicitors, Chua said "I am completely innocent of any wrong doing". I will never cease my efforts to prove my innocence and remain confident that the justice system will ultimately prevail, not just for myself but also for the victims of these terrible crimes and their families. The NHS nurse who murdered two of his patients and poisoned 20 more, was jailed for at least 35 years. The judge described Victorino Chua as 'sinister and wicked'. Detectives said he showed no remorse for the crimes he committed at Stockport's Stepping Hill Hospital. After the hefty sentence was handed down, one of his victim's told ITV News: 'I hate his guts'. 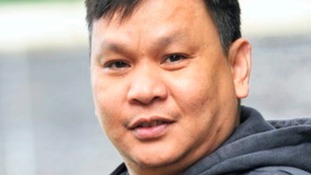 Sentencing nurse Victorino Chua to a minimum of 35 years in prison, the judge said the nurse had shown "considerable cunning" when he poisoned and killed patients at Stepping Hill Hospital. Kathleen Murray told GMB she woke up 'shaking uncontrollably' after being poisoned by Victorino Chua who was the nurse on duty that night.